Yesterday we took to the ‘gram and asked the fans what Cyber Monday colorway they’d love to see next in the what appears to be discontinued or on-hold series of colorways. But before we get into their feedback, let’s talk about the Cyber Monday colorway in all it’s glory. It first surfaced on the Jordan 1 OG back on November 30th, 2015 – on of course, Cyber Monday – and it was an instant favorite. The mix of a full Black tumbled leather upper sitting on a White mis and outsole was the perfect fashionable go-to sneaker. The next year it hit the Jordan 3 in similar fashion, but a little earlier than the titled date. I believe this was again similar to this year’s overcrowding of the releases on the day, so it was brought forward. But we didn’t miss out on a Cyber Monday release of the date and colorway, with the Jordan 31 releasing that November. But it seems that this colorway is now not significant to the day in question, with the last sighting of the Black and White classic coming in May this year on the Jordan Jumpman Pro. But for Cyber Monday this year, we havent heard a peep. Nada. Nothing indicating we’ll be getting another Black and White colorway for the break-the-internet (and break your bank account) day of sales. It’s a fan favorite. An instant classic. So why the holt? Let’s ride this winner into the years to come with some retro adaptations like the Jordan 8, the overwhelming winner of our fan poll. 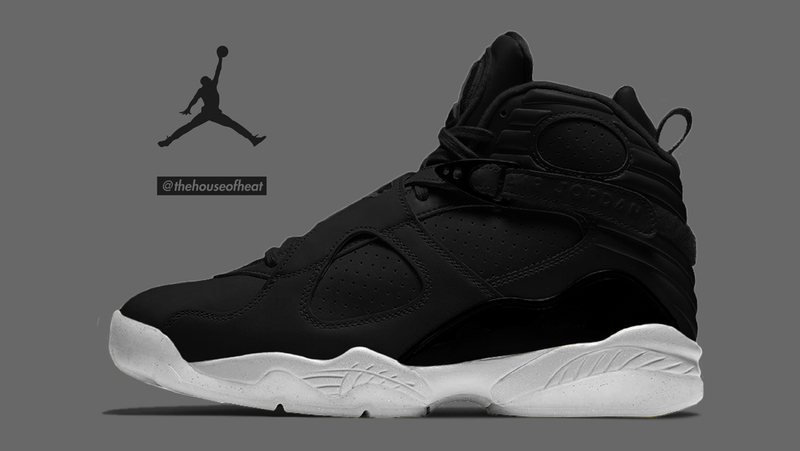 See our interpretation of the Air Jordan 8 Cyber Monday below! We love the tumbled leather look, but when it comes to the Jordan 8, the only material that should be used in our eyes is suede. We’ve even added a touch of patent leather to the side panel. Yeah, it’s not your typical Cyber Monday materials, but with the added touch of luxe, it creates a smooth luxury-vibed offering that only Jordan Brand could perfect.